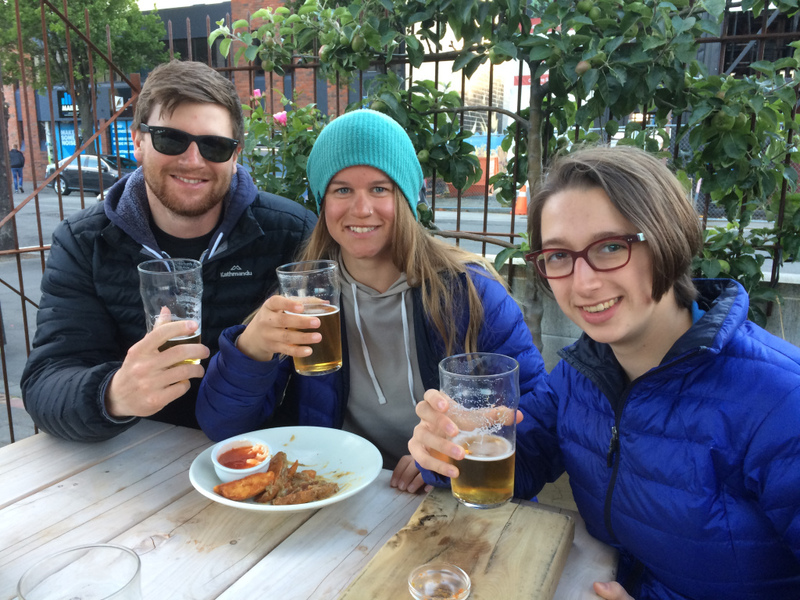 Follow Icefin’s deployments via our field blog here! 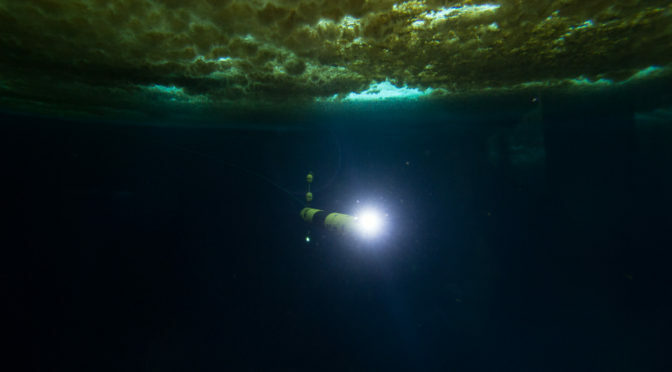 Icefin is a hybrid remote or autonomous underwater vehicle (ROV/AUV) that is both modular and field-portable; it is essentially a small, long-range, deep-water, under-ice robotic oceanographer. 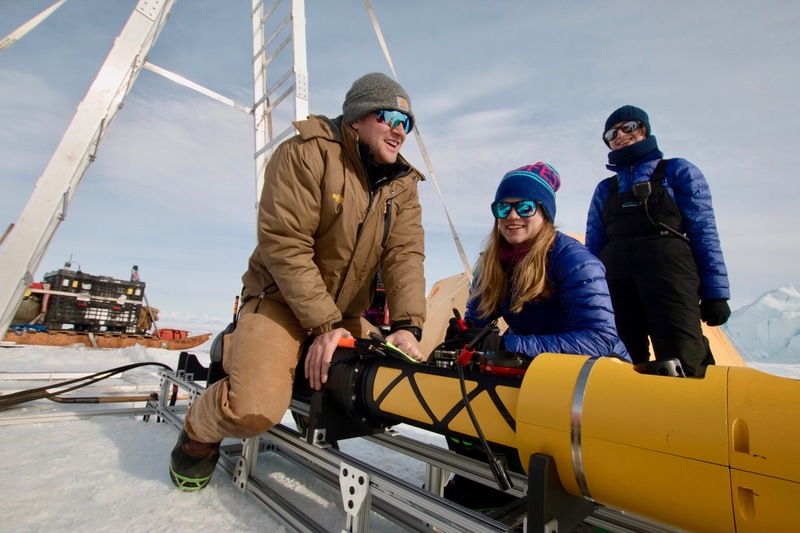 Icefin’s primary capability is characterization of sub-ice environments using sonar, chemical, and biological sensors to explore ice and water conditions around and beneath ice shelves. Through Icefin, we’re able to simultaneously explore Earth and develop the technology we need to one day explore other oceans in our solar system. 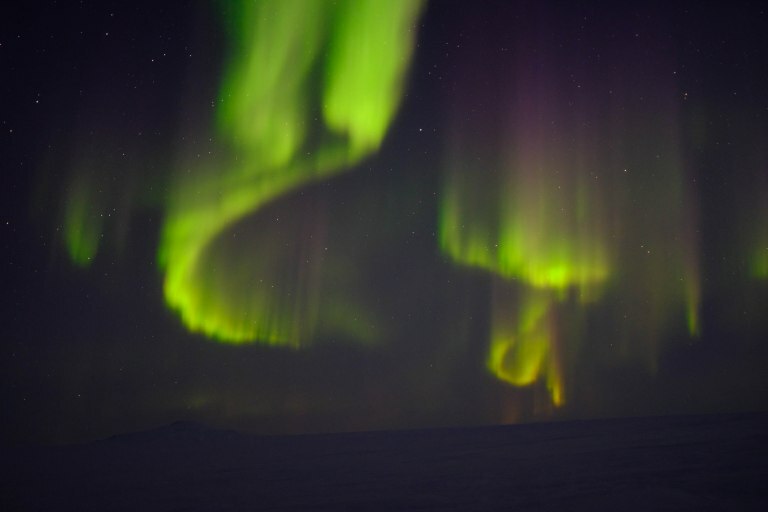 Icefin first operated successfully in Antarctica during the 2014 Austral summer 2014. Under the Sub-Ice Marine and Planetary analog Ecosystems (SIMPLE) NASA program, Icefin was deployed through the sea ice in McMurdo Ice Shelf and collected sonar, imaging, and water column data down to the seafloor at 500 m.
Standard Icefin configuration and sensor loadout. Customizable missions- Icefin’s modules can be swapped or rotated for each mission, to point sensors either up at overhead ice or down towards the seafloor depending on the science goals. 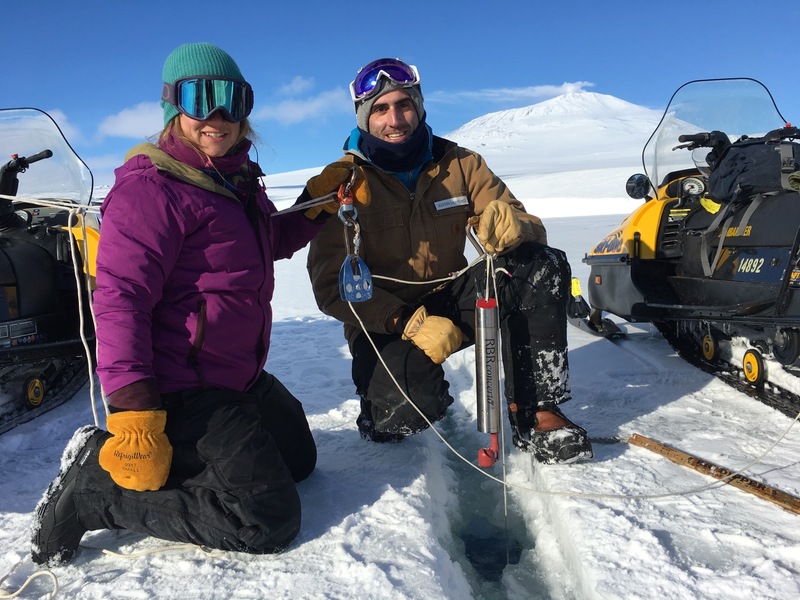 The objective of the MicroBioChip instrument is to characterize microbial diversity over horizontal and depth spatial scales beneath the ice. The system is a microfluidic chip-based cell collection system enabling general categorization of the microbiota using quantitative PCR post-mission. A direct on-chip cell counting system enables real-time cell counts under the ice. The cell collection system can be a stand-alone system or integrated directly with the cell counting system. In this approach, cells are filtered from ocean water and stored directly within the system. Upon return to the surface, information on microbial abundance can be obtained via quantitative real-time PCR and diversity via high-throughput 16s rRNA sequencing. Development and testing at Georgia Tech will be completed in 2018. Future Icefin modules are being developed to include a sampling arm capable of retrieving ice or benthic samples. Our lab is also working to integrate science and navigation data to enable autonomous real-time mapping and intelligent sampling. Project RISE UP (Ross Ice Shelf and Europa Underwater Probe) is supported by NASA PSTAR program grant NNX16AL07G, PI B.E. Schmidt. Field work in Antarctica was supported by NASA and NSF under USAP project number B-041-M. We’d like to thank the USAP McMurdo Station staff, the staff with Antarctica New Zealand, and the members of the Aotearoa New Zealand Ross Ice Shelf Programme for their assistance in the success of this program.